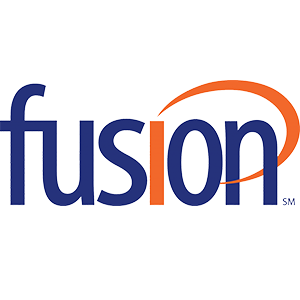 Atlanta, GA – February 11, 2019 – Lingo Communications, LLC (“Lingo”), a leading global cloud and managed service provider dedicated to serving the SMB, Carrier and Consumer markets, announced today that on February 4, 2019 it entered into a definitive agreement to acquire select SMB customer assets from Fusion Connect, Inc. (“Fusion”), in an all-cash transaction. Lingo to acquire select Fusion SMB customers located in 30 states. The final closing is expected in Q2 ’19 following customer and regulatory notifications. Will add approximately 4,000 customers to Lingo’s high growth SMB segment; will increase SMB segment ARPU by approximately 10%; and will increase SMB segment gross margin by approximately 3%. Expected to be significantly accretive to Lingo’s Adjusted EBITDA immediately upon closing, leading to approximately $28 million in annual pro forma unlevered free cash flow in 2019. Lingo will continue to operate its nationwide cloud communications network as well as its North American FG-D network focused exclusively on the SMB, Carrier and Consumer markets. The combined customer base demonstrates strong fundamentals, with monthly recurring revenue comprising approximately 90% of total revenue and a churn rate below the industry average. In addition, the combined company will enjoy significant opportunities for growth by cross-selling and up-selling these customers. “This tuck-in acquisition, once closed, will notch another major milestone in Lingo’s previously announced SMB and Carrier rollup strategy. In addition, it will also provide enhanced scale which will enable us to pursue additional value-enhancing initiatives including strategic acquisitions”, said Vincent M. Oddo, Executive Chairman of Lingo. “This acquisition is extremely accretive and a very natural fit for Lingo. It will help us achieve the next level of success using the increased scale and resources,” said Chuck Griffin, President & CEO of Lingo. Macquarie Capital served as financial advisor to Lingo. Jones Day and Cahill Gordon & Reindel served as legal advisors to Lingo. Lingo is a leading global cloud and managed service provider to the SMB, Carrier and Consumer markets. Lingo provides modern, efficient, IP-based voice, data, network services and managed services to customers around the globe. Lingo serves 225,000 customers and maintains both a nationwide IP-based cloud communications network as well as a North American FG-D network serving many of the largest global Carrier customers. Lingo also has a very experienced leadership team and is proud to provide exceptional 365/7/24 customer care. For additional information, please visit lingo.com.